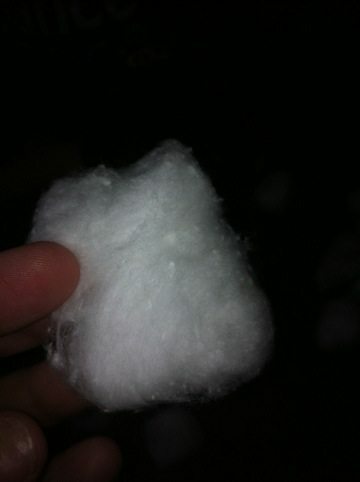 If using cotton balls, stretch them out, making them fluffy. 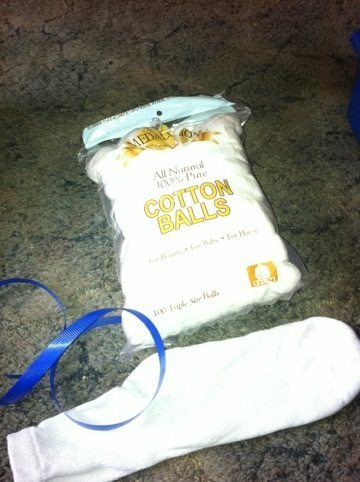 Fill the sock with the cotton balls. 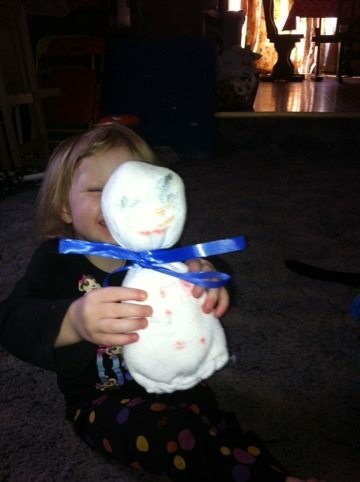 You and your child can make it as fluffy or this as you like. 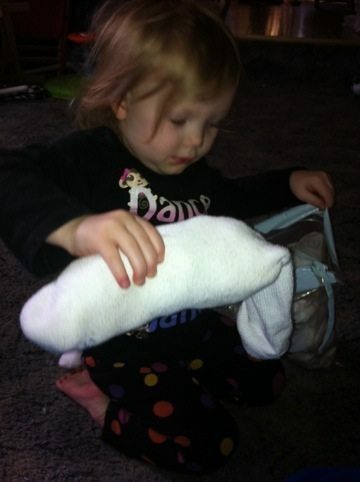 Children as young as 7 months can help with this if the adult, or an older child holds the sock open. 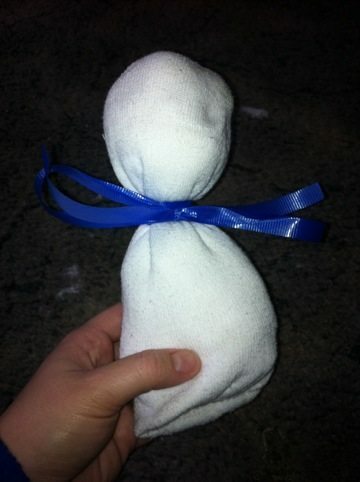 Once the sock is filled, use the ribbon or whatever you choose to make the head. 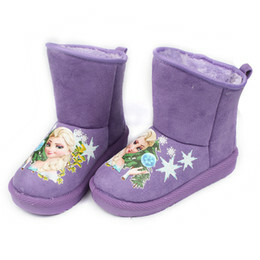 You can close the bottom any way you like, tie it, glue it, or a few stitches. 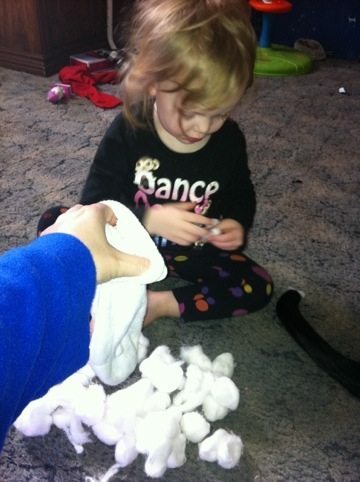 I choose to hand sew a few stitches. 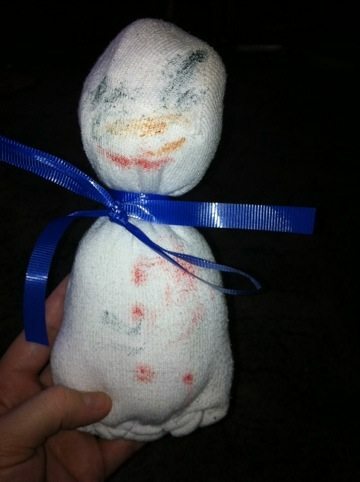 Then your child can draw a face and buttons on the snowman. 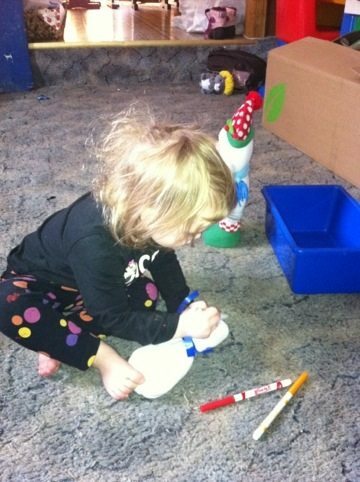 Then your little one has a snowman to hold, play with and cuddle.